The Berry Athletic Foundation is looking for sponsors to help us purchase 8 fencing strips to improve the quality of fencing and pentathlon events and training in Northern California. The grounded fencing strips enhance the electronic scoring system, provide a high quality, stable fencing surface, and are easily transportable for larger events. 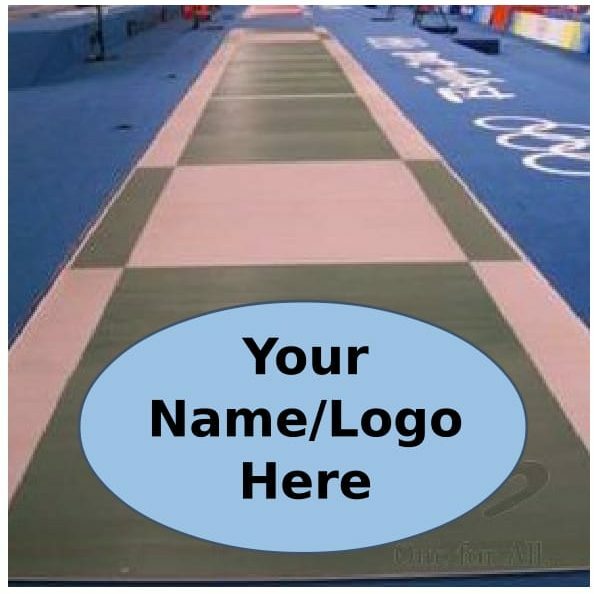 Each strip costs $2,000 to sponsor and as a thank you we will have your name or logo painted to the strip in the run off zone (using the same process that is used for the marking lines). The Berry Athletic Foundation is a 501c-3 nonprofit (#47-5042597). Please check with your tax adviser regarding a potential deduction. Email davispentathlon@gmail.com for more info or to sponsor a strip.